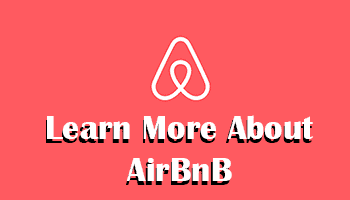 Want to know more about Albanian Food and Cuisine? 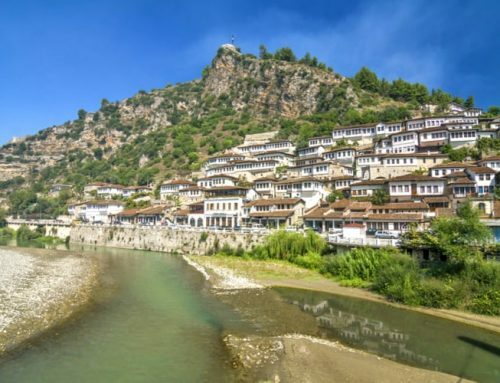 Here are 15 Traditional dishes from Albania that you should try while visiting! 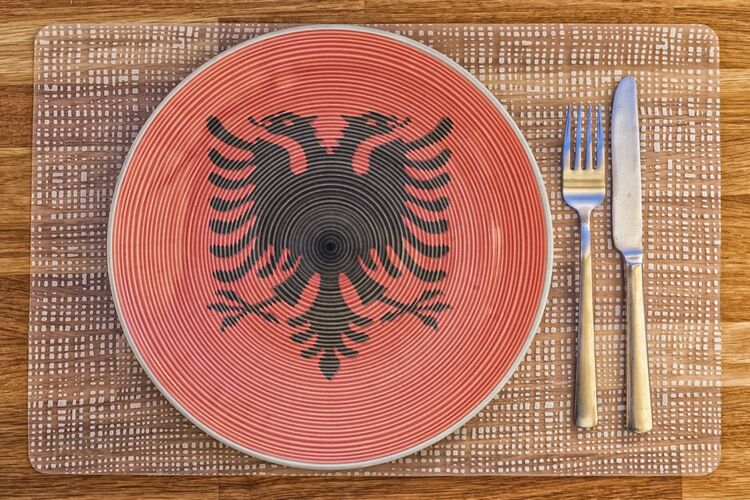 The national dish of Albania is something that you definitely shouldn’t miss while you travel to Albania. 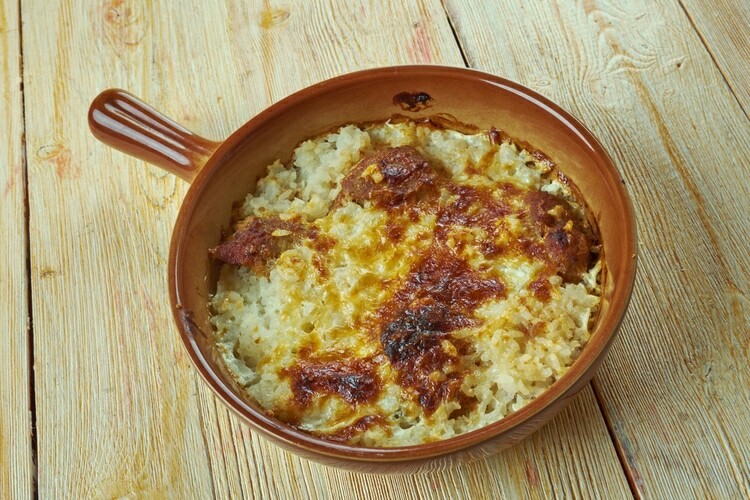 Tavë Kosi is a lamb dish with rice that is baked with a mixture of yogurt and eggs. It can also be made with chicken, but then it’s called tavë kosi me mish pule. Another delicious Albanian dish that I recommend you to try. Fërgesë comes in two different versions, one made with pepper (Fergesë e Tiranës me piperka) and one made with liver (Fergese me melçi). The dish with peppers is usually served as a side and Fergese me melçi is served as a main course. 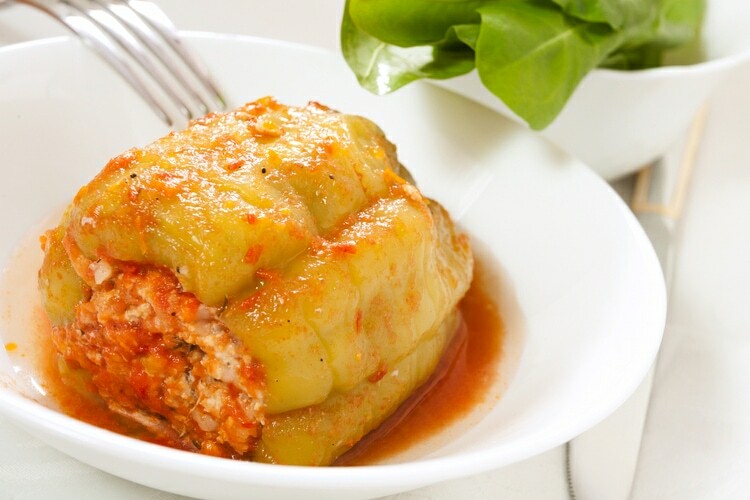 Stuffed peppers with cottage cheese is another classic that you can find in many restaurants. It can also come in other variants such as stuffed peppers with meat, rice, and vegetables. Albanian version of meatballs usually made from lamb mince. 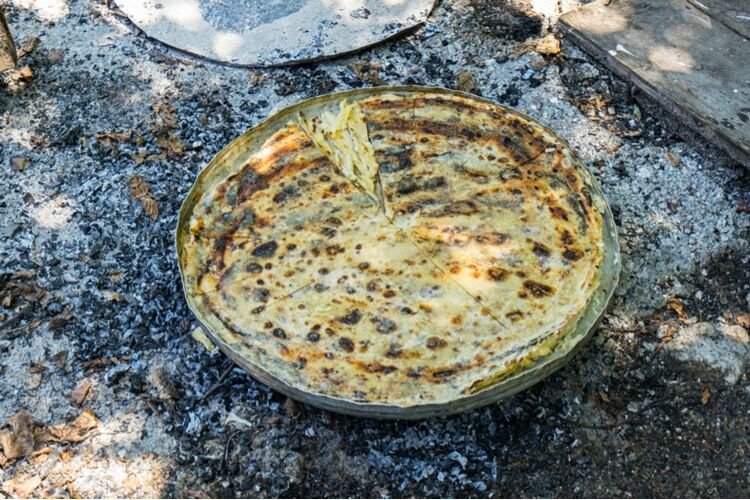 Qofte does come in different versions and is traditionally served as lunch or dinner together with salad, bread or rice. While veal and lamb are popular meats in Albania, chicken is also available. I would suggest to write down this name as it can be hard to remember otherwise. Fileto Pule Me Panna Dhe Kerpudha is delicious and it’s basically grilled chicken breast with cream sauce and mushrooms. Qifqi is a great option for vegetarians as it contains no meat. 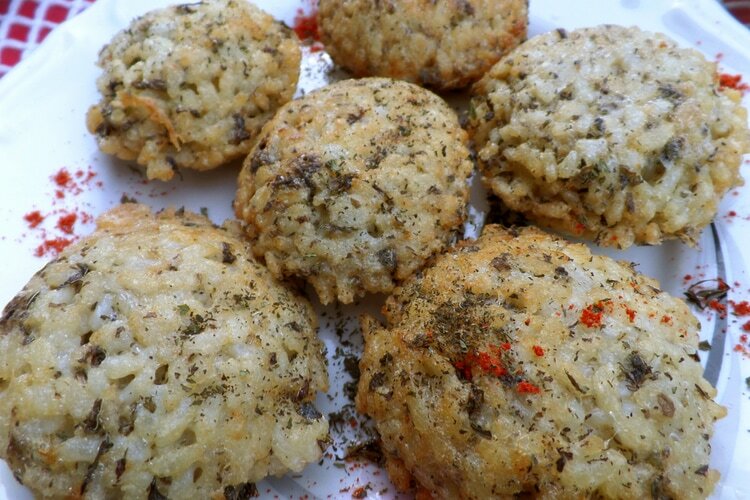 They originated in Gjirokastër and if I were to describe them, I would say that it’s like some kind of risotto balls. Flija or Flia is a crepe-like dish that is brushed with cream and then served with sour cream. 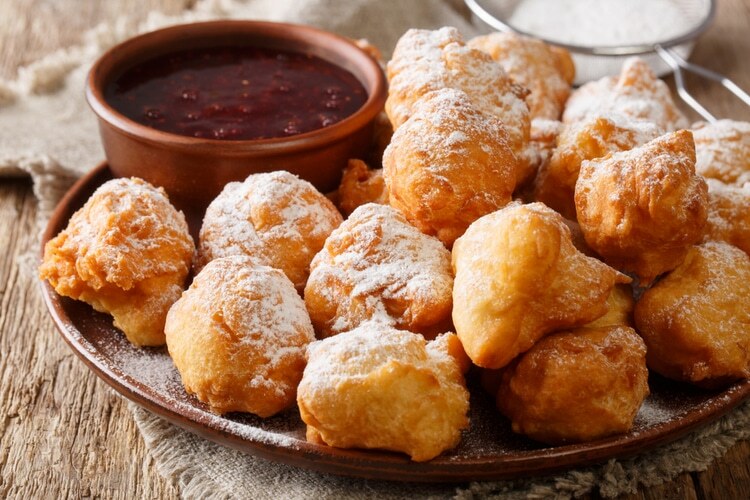 The Albanian version of fried dough that are usually dipped in dips or feta. They can also be rolled in sugar or honey. 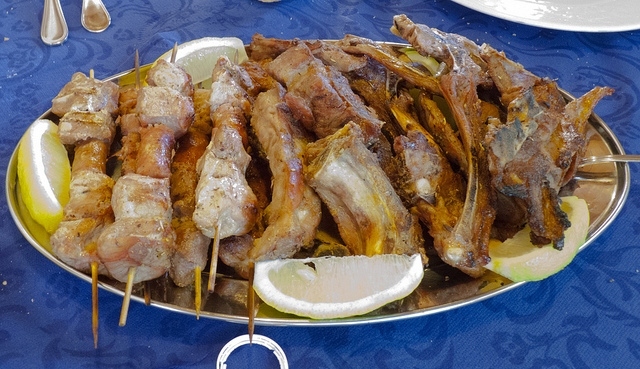 Albanians do love their meat, and one of the best Albanian dishes for meat-lovers is, of course, the mix of grilled meats. This can often be shared by 2 or more people in restaurants, and most plates also include lamb. Grilled vegetables are popular across all of the Balkans, and Albania is not an exception. 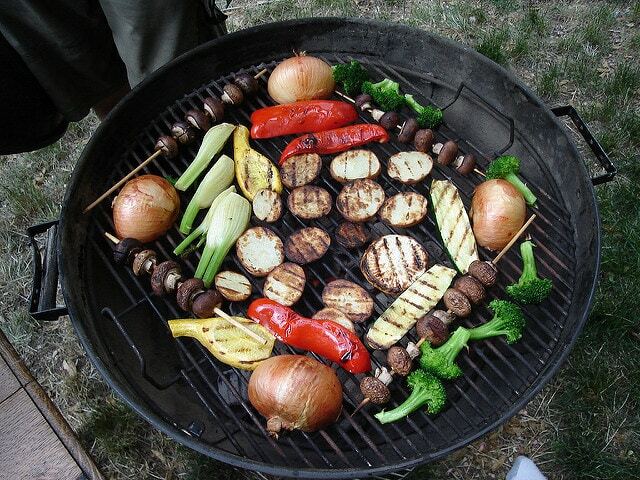 Eggplant, zucchini, peppers, onions, tomatoes, and mushrooms are popular choices to put on the grill. Fresh fish cooked to perfection is available in all coastal towns in Albania. 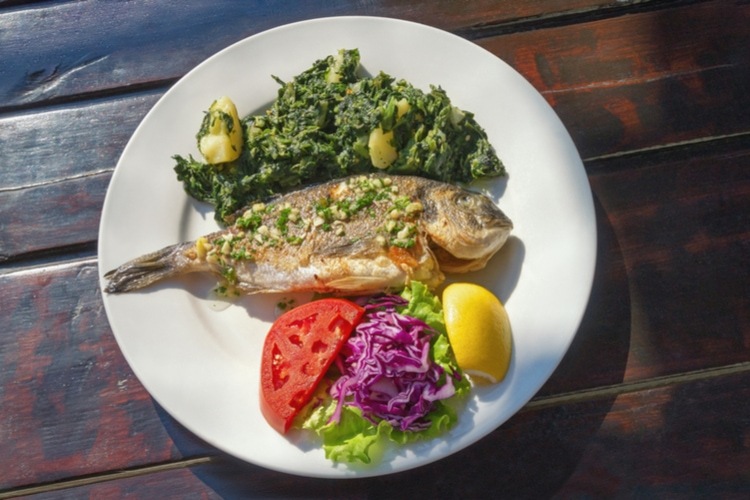 Just like other Mediterranean countries, sea bream is one of the most common fish dishes. Scampi is another popular seafood served in local restaurants. 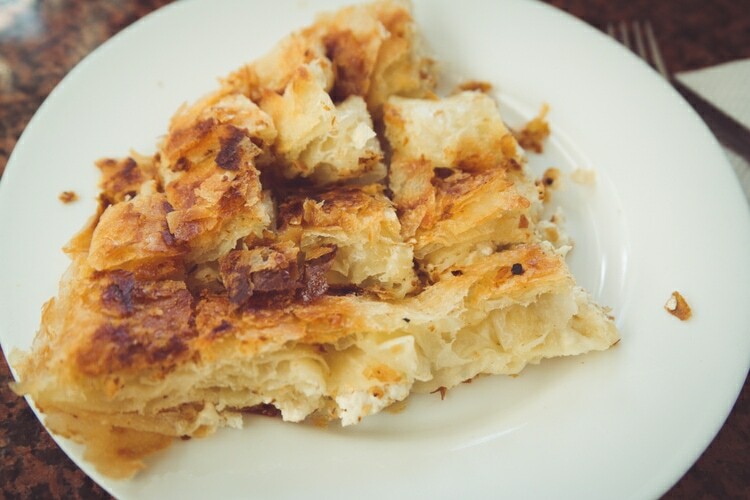 Burek can be served in many ways with various fillings, and it’s popular across all of the Balkans. In Albania, you’ll find local shops selling burek pretty much everywhere. Some of the most popular variants are burek with cottage cheese or burek with spinach. This white bean soup is another traditional Albanian food. Raki is popular all over the Balkans. 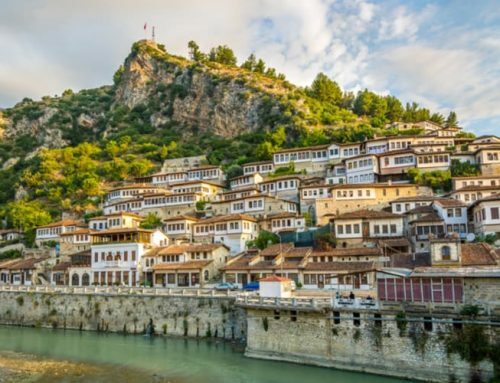 Albanians make their own versions of Raki, so it’s definitely something to try while visiting if you enjoy drinking alcohol. The Albanian cuisine has three distinct regions, the north, central and the south. In the South and along the coastal areas, fish and seafood are consumed more frequently. Like other countries in the Mediterranean region, olive oil is used on a daily basis. Some dishes that you can find here are also popular across the Balkan in whole, and the Italian influence has for example introduced pizza and pasta in the local cuisine. The Albanian dishes are often very tasty with a homemade feeling over it. They use a wide range of ingredients, but potatoes, carrots, maize, beans, cabbages and cherries, walnuts and almonds are commonly used, as well as garlic. Onion also has a big place in Albanian cuisine, and a fun fact is that Albania has the second highest consumption of onions in the world! The New Year’s celebration is a big tradition in Albania, and it has been one of the most important holidays of the year for a long time. Have you tried Albanian food? Share your experience in the comment section below, and tell me which one is your favorite Albanian dish!